We're thrilled to announce the release of a very special Songhoy Blues single. 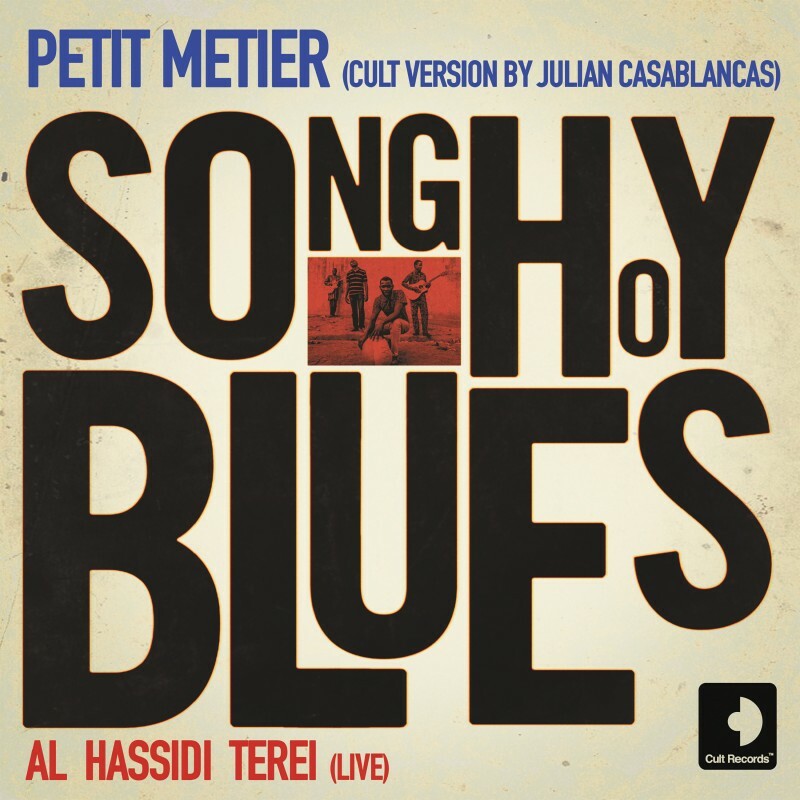 Available digitally, the single features a Julian Casablancas edit of 'Petit Metier' and a live version of 'Al Hassidi Terei', recorded at their sold-out London Koko show in November of last year. The band re-recorded the vocals for Petit Metier last August and Casablancas has been working on the new production with engineer and mixer Shaun Everett (Alabama Shakes / Weezer). Having fallen for the band in 2014, Casablancas invited the band to tour with his band The Voidz in November 2014. His label, Cult Records, subsequently partnered Atlantic Records in the U.S. to release their debut album, Music In Exile, in 2015.